TigerVPN is mid-tier newbie service provider with standard encryption, located in no-data retention region, supporting all the mainstream platforms, using DNA servers and allowing streaming and torrenting at a reasonable price along with a limited free trial. TigerVPN is service with limited features and less than the competitors’ servers network and allows limited connections at relatively a higher price with no kill switch and DNS leak protection. TigerVPN, a decent mid-range service located in Slovakia, founded in 2011, with an aim to serve internet freedom and protect online anonymity. 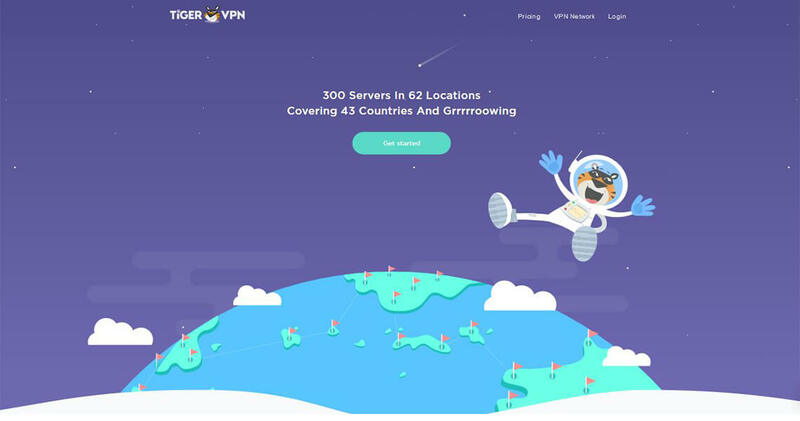 2016 was the turning point in the life of TigerVPN, as the service launched a new website, engine, and apps; thanks to these welcoming improvements that encourage us to test the VPN and share our experiences with all the VPN-seekers right out there. This TigerVPN review will create or spoil your VPN moments, so get yourself prepared. Either you want to stream your favorite TV shows while on the go, or just want to remain protective while using public WiFi; TigerVPN is a reasonable option. TigerVPN is one of the dominant traction among newer VPNs due to its large set of features and performance. The Slovakian company has 300 has servers in across 43 countries – mostly in Europe, Asia, North and South America – and is continuously growing. 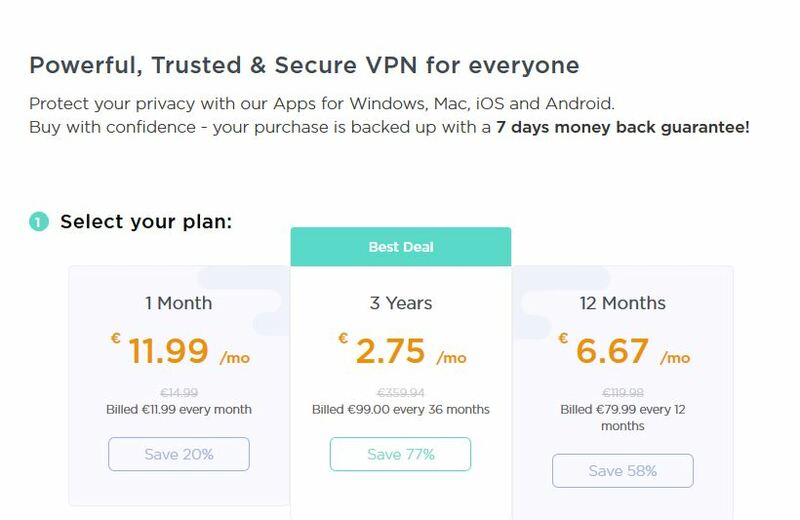 TigerVPN subscription also comes with free access to Sticky Password Premium, and Shimo VPN Manager – tools for more advanced users and multiple devices. Let’s explore some basic information about the provider in this detailed TigerVPN review. TigerVPN have servers across 40+ countries, while headquartered in Bratislava, the capital of Slovakia, created by Tiger at Work & Co. around six years ago. Slovakia is free from censorship but lacks the legal framework for websites to be private or free to express freedom that could challenge the government. The questionable or defamatory content would be banned by the Slovakian government. All in all, Slovakia offers uncensored and unrestricted internet to encourage free speech and press, but controlled yet criticized politics could spoil online media. So, get the VPN of the country that is exempt from mandatory data retention working on thwarting such legislative directives coming from the EU. We struck in first few attempts; joining a Tokyo server, we saw few foreign titles, a good sign! But this sign doesn’t last longer, when we tried to stream, Netflix realized VPN protection; unfortunately, that’s happening more and more often lately. Note: If Netflix is all you want out of a VPN, then look elsewhere or rather check one of the best Netflix VPN out there. Does TigerVPN Works In China? We all know that more than 30,000 websites including Facebook, Google, Youtube and many others are blocked in China, but don’t worry, there are some handful of China VPNs that are helping Chinese and expats to access anything from China; unfortunately, TigerVPN is not one of them. TigerVPN Features – Is TigerVPN Deserving Enough? The company has 300 servers across 63 locations including an impressive number of 43 countries, North-America and Europe capture the highest share. TigerVPN claims to runs its own network, DNS servers and the entire infrastructure and does coding itself. Find all the available regions below; a snapshot is here for a quick overview. Their server’s network is growing at a steady pace, covered all six major continents already, but those located in the US proved to be the best bet, how? Keep reading this TigerVPN review. On the security front, TigerVPN follows all of the top-tier security protocols including IPSec L2TP, PPTP, and OpenVPN, for our flexibility and control. Overall, TigerVPN presents itself as the best VPNs in terms of anonymity and online protection with its great security protocols, shows their dedication to our privacy consciousness. This means the VPN encrypts web traffic with AES-256-CBC cipher, without supporting Perfect Forward Secrecy; this is a good encryption shield, but far on par with others in the VPN market. You’ll also find a TCP override feature that would be helpful in dealing with frequent disconnections. The default connection type would be UDP that can be unstable, but secure enough. We tested the protocols stability to provide accurate information in this TigerVPN review. Ensuring privacy is one of the most remarkable features of TigerVPN, although your session data including dates, the server location, and the bandwidth, is being monitored and recorded. Don’t worry! TigerVPN claims to have no interest in your browsing activities, so browse websites and do anything without worrying about being monitored. But is that true? They also claim that they “third-party cookies, pixels and website analytics to track advertisements and sales promotions to understand which pages we visit often. This doesn’t prove that TigerVPN’s security features are weak, necessarily. But beware! they do collect logs in the background; trust them with your information. We know that routing web traffic through a server cause variable speed drops, this is what we can be observed via speed tests. They are useful guides in evaluating the VPN performance. However, speed tests heavily depend on the network conditions while testing, that keeps fluctuating. Therefore, all the speed tests reflect the VPN’s performance during a short span of time. For this TigerVPN review, we tested the service using different servers. The connection speed on TigerVPN was quite erratic, sometimes excellent and other time quite slow, but on balance it was quite better than the competitors. Talking about regular speeds, TigerVPN performed pretty well with a considerable drop on some servers, it was still good for streaming and downloading. As far as gaming, we played League of Legends without any problems. Our tests performed during different parts of the day and we noticed a slight drop in speed as evening approaches. Let me remind you that the reason why many times speed tests left us with mixed feelings, it’s due to your location and the server you choose, so, many things need to click together for it to actually happen. TigerVPN has an unusual feature “karma points” that offers credit for liking it on social media like Twitter or Facebook, or else subscribe or rate to its YouTube channels. We included this feature in our list to explain, because we want to give the tiniest detail about the provider in this TigerVPN review. TigerVPN uses popular third-party OpenVPN clients and can be configured by anyone without IT background and knowledge. It has apps for iOS, Android, Linux, Windows, MAC, and even on a Raspberry Pi, but if you want to play with features, there are technical configuration. TigerVPN can also be installed on some routers if you’re technically literate. TigerVPN Windows app is a software that enables you to hide your IP or log in various locations across the world for content accessibility. The interface is casual with cartoons and minimal yet simplistic enough to use. For pricing, login or servers, click the hamburger at the top right corner and check whether your favorite regions are there or not. Installation is quick and straightforward that welcomes you with a plethora of choices to navigate to take the desired action swiftly. Don’t like the app, the list of best Windows VPN is the huge man! Get your hands on any of them. Secure your Android device from spies, hackers, crypto-miners, and online threats while using a public WiFi and remain your IP address hidden behind one of their non-traceable IP address and gets invisible for the virtual world. TigerVPN Android app is using OpenVPN UDP + TCP for maximum speed, encryption, and reliability. Be careful! Android is the most vulnerable OS, choose the Android VPN wisely. Dear Mac and iOS tigers! TigerVPN has everything for your online anonymity and cybersecurity, the app is swift to use with basic yet follows the same cartoonish display. Search in the app store and log in and connect to the world of unrestricted internet. No matter how secure Apple claims to be threat-proof and risk-free, you still be needing iOS or Mac VPN. TigerVPN has an array of customer support options, including a live chat and a ticketing system. Click the “Can We Help?” icon to contact them. The Help Center will pop up to let you search for help or go for a live chat, knowledge base, ticketing, or system status tool. Upon asking a technical query, we were immediately responded with an article link that had a solution of our question. For the purpose of TigerVPN review, we sent a query using ticketing system and surprisingly, we received the email within seconds. It felt that the TigerVPN really values us as a customer. Unlike others, TigerVPN knowledgebase is more focused towards troubleshooting rather than explaining what is VPN and other basic concepts. Torrenting is legal but the usage makes the file-sharing phenomena to the limelight; torrenting always analyze with a pinch of salt, it’s legality is still in the gray. TigerVPN allows torrenting, but doesn’t encourage by the company; it’s quite an odd stance to take the step with a grain of salt. TigerVPN has three pricing plans for you, you might count them pricier than the competitors. Don’t forget that TigerVPN shared 2% of the profits in social endeavors, including campaigns for animal welfare. You can also get a trial account to evaluate the software before committing to a subscription. A free trial is for those who want to sample TigerVPN a 500MB data cap using a limited number of servers, while all the three tiger plans come with unlimited bandwidth with no data cap. Payments can be made by PayPal, credit card, and Bitcoin. So, Are You Anchoring Your Privacy To TigerVPN? TigerVPN had impressed us as being the above average in many aspects including security protocols, a high degree of configuration, responsive customer support, torrenting, and streaming capabilities. It might not be wallet-friendly, but has the potential to get a lot of mileage. TigerVPN riched with some original features that is available on three different plans, suiting your need, but weakens in compensating for security shortcomings topped up with its erratic speed, and relatively the less than the optimal interface. It’s perhaps a good option to fix Netflix errors or else you’re on a short trip and you’re geo-blocked. We won’t recommend TigerVPN to those who are seeking a watertight VPN service.